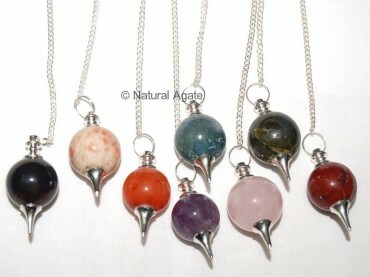 Natural Agate offers Mix Gemstone Ball Pendulums. Each stone is carved into ball shape. Rotate each pendulum around yourself to reap the benefits of the concerned pendulum.